What to do if you fiind a bat? Today we had our first bat of the year brought into the Shelter. Thankfully there was nothing wrong with the little mammal that we could find. 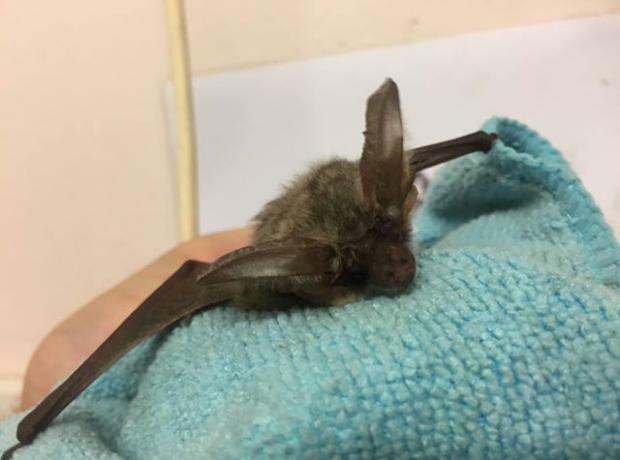 The bat was found by a caring builder who discovered it during his day when removing a sign. This time of year bats are hibernating to save energy during the winter months. Guernsey has a number of bats and the dense housing population affords many roost sites, particularly fascia boards over rough granite for pipistrelles and barns for all species.